Getty ImagesFloyd Mayweather defeated UFC fighter Conor McGregor in his last appearance in a boxing ring. If Floyd Mayweather is to succeed in UFC he will have to abandon the “shoulder roll” technique that he perfected in the boxing ring. That is the opinion of Mayweather’s uncle, Jeff Mayweather, who discussed how his nephew could transition into a cage fighter. Floyd Mayweather recently claimed he has held “multi-billion dollar” talks to return to fighting. 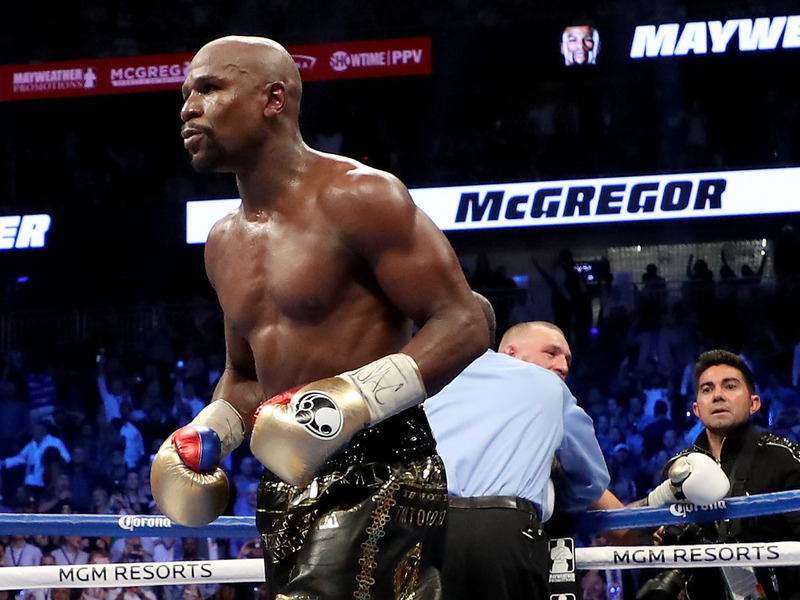 If Floyd Mayweather is to succeed in UFC he will have to abandon the boxing move that made him famous, according to his uncle Jeff Mayweather. Mayweather, a champion boxer who is undefeated after 50 professional fights, has held “multi-billion dollar” talks about returning to combat sports, and there is speculation that he will do so in a UFC octagon rather than a boxing ring. But Jeff Mayweather warned his nephew against using his signature “shoulder roll” move, as he doubts the technique will be as successful in the cage as it has been in the ring. The shoulder roll allows Mayweather to reduce the impact of an opponent’s punches even when he is standing right in front of them. He is able to block shots with the top of his left shoulder, or parry them with the glove on his right hand. His quick reflexes then allow him to respond in fractions of a second. If Mayweather is to succeed in UFC, Jeff Mayweather – a coach at the Mayweather Boxing Club in Las Vegas – says he needs to instead “use his legs” and take advantage of the full space of the octagon. This means he would stay close enough to the opponent to strike but he’d also have to be smart because if he got “kicked, elbowed, or kneed” then he would lose. 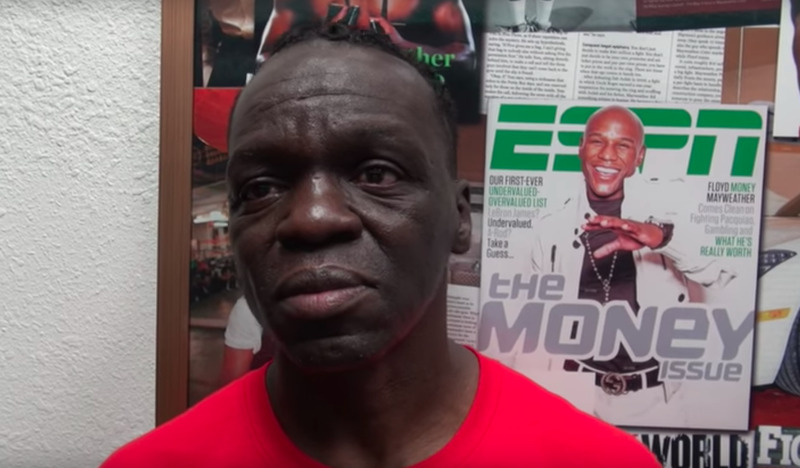 YouTube / Mayweather Boxing ChannelJeff Mayweather is Floyd Mayweather’s uncle and a coach at the Mayweather Boxing Club in Las Vegas. Jeff Mayweather also said that if Mayweather fought Conor McGregor in a UFC rematch of their boxing rules bout last year, then “Conor has an advantage” as it is his sport. Just like Mayweather had a clear advantage in his tenth-round victory over McGregor last year, as boxing is his sport. So why take the fight? “It’s money,” he said.